Berettyóújfalu is a town in Hajdú-Bihar county, in center of the Northern Great Plain region of eastern Hungary. It is 40 km south from Debrecen (the second largest city in Hungary), and about 35 km from Oradea (Romania). Berettyóújfalu is named after the river Berettyó. It covers an area of 170.98 km2 (66 sq mi) and has a population of 15,221 people (2014). This area has been inhabited since ancient times. From the late Bronze Age artifacts found a lot of find in the town area. In the Iron Age one after the other Scythians, Sarmatians, Celts and Huns conquested this area. After the Hungarian conquest (C.E. 9-10th century) 14-15 villages came to be in this area. In these settlements took place semi-nomad farming. The villages were built on the top of the hills, because this area was a huge swamp. People used boats to travel between the hills. Every settlement had one port, at least. The center of the villages was named Herpály. The first written mention of the village was the Regestrum Varadi in the 13th century. Herpály was important because a Romanesque monastery (built in the 12th century). The village and the monastery was destroyed twice. No written records have survived about the monastery after the Mongol invasion of Europe (C.E. 1241-1242. in Hungary). But the first half of the 19th century the height of the walls was 8–12 meters (26–32 ft). Each of the two tower stood, until a local landowner demolished the north tower, because it was life-threatening. The bricks were offered to the base structure of the Reformed Church's organ. The ruin of the tower is called "csonkatorony" (lit. truncated tower) by the locals. The south tower and the funds visible today. Herpály had four streets in 1418, according to degree possession of sharing. The village had three pubs: one had a guestroom, the others had cellars. The estimated number of villagers is fewer than 300 people. At the other bank of river Berettyó was a notable village, named Berettyószentmárton. It was a custom and tow place. In 1481 Matthias Corvinus (King of Hungary) donated right to hold markets for the settlement. Herpály lamentable chronicle began in 1658, when Crimean Tatars burned the Berettyó-valley. The settlements was not completely destroyed, but Invasion Szejdi in 1660 certainly dispels the residents here. Gábor Báthory (Prince of Transylvania, from 1608 to 1613) gave privilege for Berettyóújfalu on 23 May 1608, but it lost the privilege in that century. Significant changes happened in the landscape in the middle of the 19th century. The old "water world" disappeared when the river regulation had finished. The Püspökladány - Nagyvárad (later Oradea) railway line dedicated in 1858. It pass over Berettyóújfalu and gave dynamism to the development of the economy. In the 1920s a new county hall, elementary school, hospital, official site built. 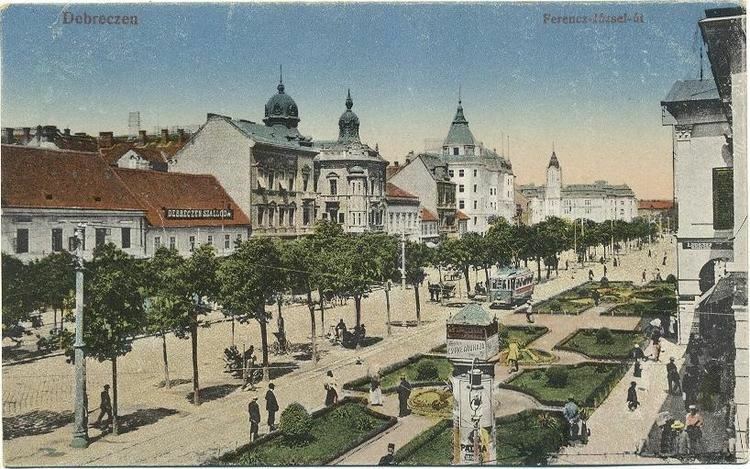 Berettyóújfalu was the county seat of Bihar between 1920-1940, and 1945-1950, because Oradea annexed to Romania, after the Treaty of Trianon (1920.06.04.). Later the government created Hajdú-Bihar County. From this time the county seat was Debrecen. The catchment area is still large, the town is important transport, economic and cultural center. There are five elementary and three high schools, a mill, a reconditioned beach, a regional hospital nad major medical centers. 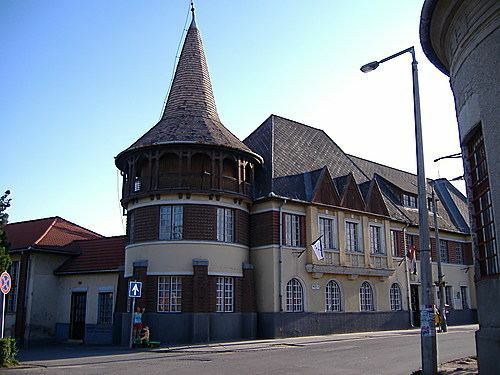 Berettyóújfalu annexed Berettyószentmárton in 1970, and received city status in 1978.